Joesph Kropschot Pro debut July 21st @ Dragonhouse MMA S.F. 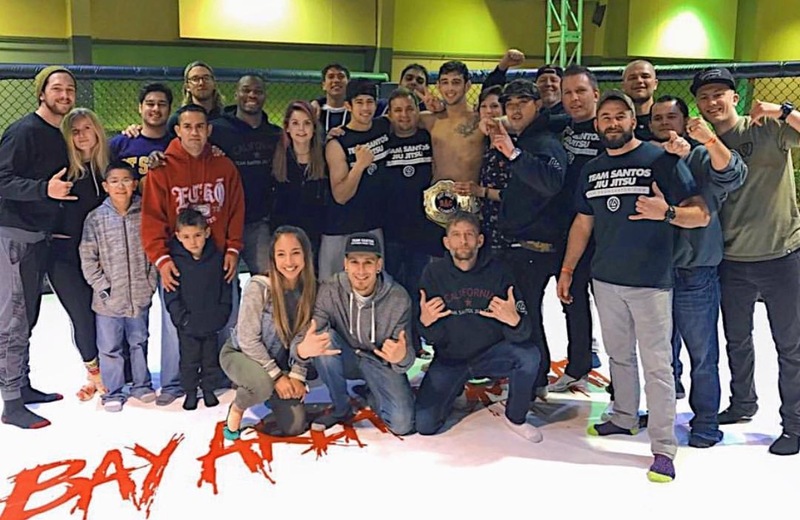 Team Santos Jiu Jitsu stand out fighter Joe Kropschot needed only 44 seconds to earn his fifth victory in as many attempts as the main event at Bay Area Combat in Vallejo on Saturday. Teammate Sal Osorio also earned the win in his debut fight, ending it at 1:13 of the first round as well. Been a while since I had a chance to add to the website. First off thank you to all of our student's all of our Parents that help out. Team Santos Jiu Jitsu is what I like to call my #jiujitsufamily. I never got into teaching to make $.Kids asked for help garage gym was created 2006 been teaching people ever since. Came out to San Ramon over 12 year's ago taught my program at Harding tae kwondo later going solo. $95 per month, never a contract to sign. Team Santos - Real Jiu Jitsu. A question I get asked a lot is whats the secret to get better fast at #BJJ .I always tell people the secret is "Not giving up" If you were to walk into pretty much any school and find some of the top People there .If you asked them about their travel to that point in Jiu Jitsu "How did you get good" most would answer "Training lot's of training" showing up when many stayed home or went out. Double day's ,taking notes,asking questions,entering tournaments,Healthy living ,Diet,exercise,stretching,yoga,journal etc. All could be answer you receive. I've been training 22 years now I started teaching people back in 2005.Things have changed and I can say that I am very Humbled by all of our #Jiujitsufamily I've really enjoyed watching people change for the positive.Kid's and Adults becoming better at martial arts. I push for the kid's to help each other never leave anyone behind. The Adult class reminds me of a throw back to the original Cesar /Ralph Gracie gym.Everyone goes for the tap the finish but after they are Respectful and Friends.